October was Spooky Month over at r/Retrobattlestations. The contest required submitting a photo of a vintage machine playing a Halloween or “spooky” video game. As you can see, I fired up Polarware’s text/graphic adventure Transylvania — one of my favorites — on my 128K enhanced Apple IIe. The 16-color Double High-Res version of the game can be seen on the screen (very sharp). I was a sticker-winning runner-up at the end of this competition. Go Apple II! 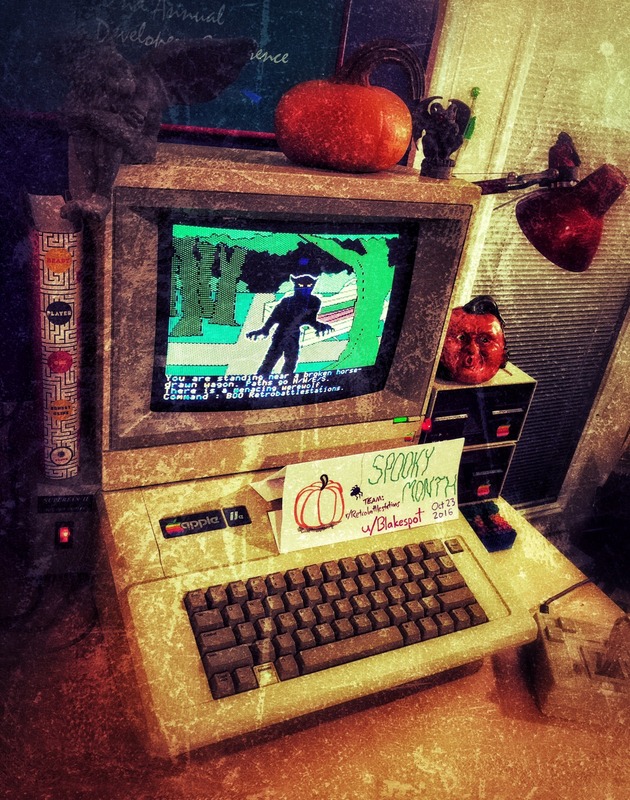 Back in 2013, I tapped my Amiga 1000 and Fright Night for the October “Spooky Week” competition. This entry was posted in Apple II, r/Retrobattlestations. Bookmark the permalink.